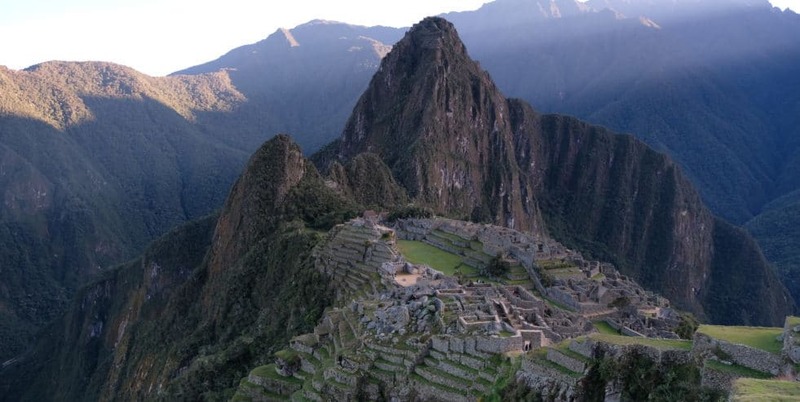 Marvel at the wonders of Machu Picchu, the impressive Incan citadel built into a dramatic location on a mountain in the rugged Andes mountains 2,430 meters about sea level. Discover the wonders and wildlife of the Amazon Rainforest. Spot the world’s smallest monkey (the Pygmy Marmoset), smallest bats, the unique pink river dolphins, sloths, piranhas, Spider Monkeys, archaic birds, and other exotic wildlife. Learn about the Incan culture, history, architecture and marvel at their mastery of agricultural invention and building at sites such as Ollantaytambo and Saksaywaman. Enjoy the stunning beauty of the Sacred Valley. Dine on the best Peruvian cuisine at a unique restaurants located in one Lima’s famous huaca’s – ancient Incan temples. Dive into Lima’s famous culinary scene and let your taste buds discover why it has consistently been voted the number one country for food.. Explore Peru with a small-group tour of like-minded travelers. Limited to 8 adventurous travelers. 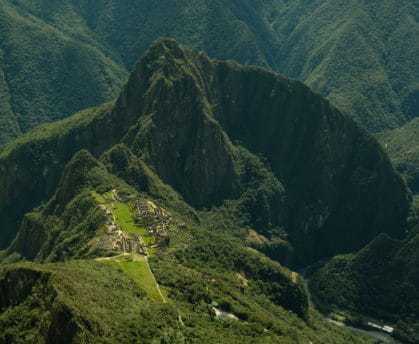 The legendary site of Machu Picchu – the impressive Incan citadel built into a dramatic location on a mountain in the rugged Andes mountains 2,430 meters about sea level. The wonders and wildlife of the Amazon Rainforest. World-renowned cuisine. Marvel at their mastery of agricultural invention and building at sites such as Ollantaytambo and Saksaywaman. Learn about the culture, history, architecture of the Incans. Meet the friendly locals. Peru has an adventure or two for every kind of traveler. Below learn about this Peru tour. Small group of 4-8 like-minded, adventurous travelers. Minimum of 4 travelers for this tour to depart. Knowledgeable, engaging local female expert guides who will bring to life Peru’s rich, complex and important history, as well as, help you understand Peru and its culture from a female perspective. Guided tours of the Sacred Valley, Ollantaytambo, Cuzco, Saksaywaman, and Machu Picchu. Expert naturalist guide in the Amazon rainforest. Guided walks and canoe trips. 3 day special Amazon wildlife program at the Pacaya Samiria Reserve, including staying in an eco-lodge. Experienced, knowledgeable, Peru-expert ArchaeoAdventures’ Tour Director who will help facilitate a wonderful time in Peru. This tour will include 2 Tour Director’s, including one who was born and raised in Peru. Site entrance fees. This includes admission fees to Machu Picchu, Ollantaytambo, Saksaywaman, Qorikancha, Huaca Pucllana, and the Manatee reserve in Iquitos. Amazon Rainforest 3 day nature program. A visit with local women leaders to one of the hill communities around Lima. Farewell dinner at a well-preserved huaca (Incan temple). Special guided walk through the temple lit at night after dinner. All guide and driver tips.We like to treat our guides as staff. We provide our guides with good, fair wages rather than making them rely on tips. Breakfasts, and many lunches and dinners. All tour in-country transportation including all ground transportation while on tour and all in-country flights. Scenic train ride from Ollantaytambo to Aguas Calientes. Historic, comfortable, boutique hotels each with their own story and place in history.